San Pedro Cathedral is not only the oldest church in Davao City, but also the city's premier historical landmark. 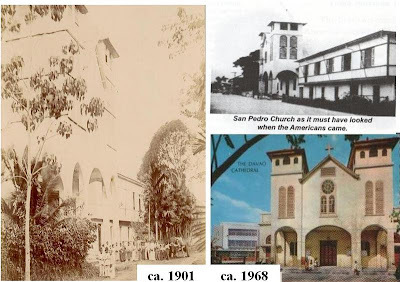 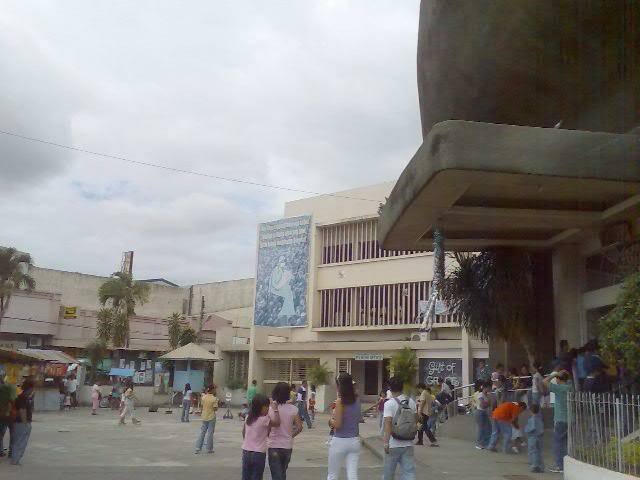 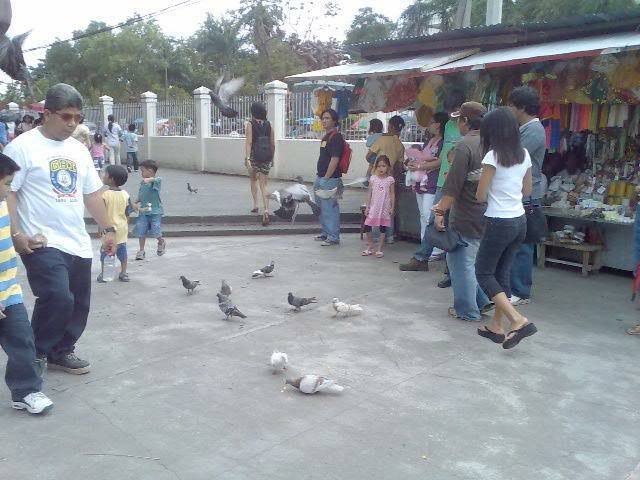 It was named after San Pedro (Saint Peter), the patron saint of Davao. The original structure was built in 1847 during the arrival of the Spanish Conquistadors, led by Don Jose Uyanguren. 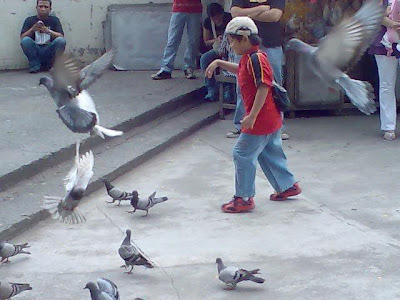 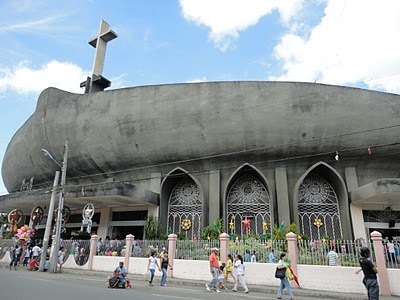 The Cathedral is situated at the very heart of the city right across the Sanguniang Panglunsod ng Dabaw (City Council) Building, and is close to several commercial establishments, hotels, shopping centers, universities, parks, a public market, etc. 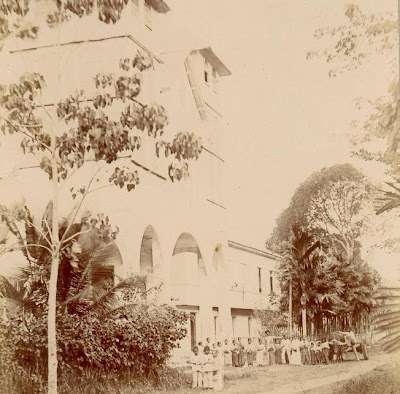 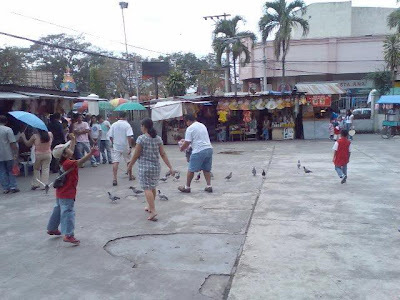 Facing the church, it is bounded at the front by San Pedro Street, the oldest street in the city, Bolton Street on the left, and Claveria Street on the right. 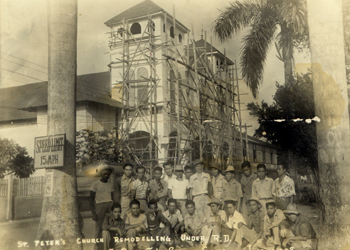 The San Pedro Cathedral is now recognized as a National Cultural Treasure. This magnificent Spanish-style architecture with its distinctive modern design frontal-curved solid structure was first built using nipa and bamboo in 1847 and was subsequently rebuilt in wood in the mid 1900s by the late Architect Ramon Basa until it was finally remodelled in concrete in 1964 by Architect Manuel Chiew. 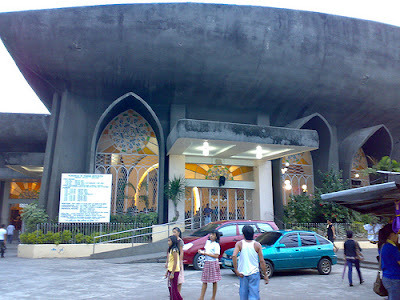 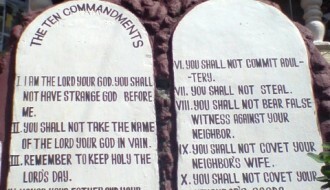 The present design is reflective of the convergence of Christians and Muslims living in Davao City. 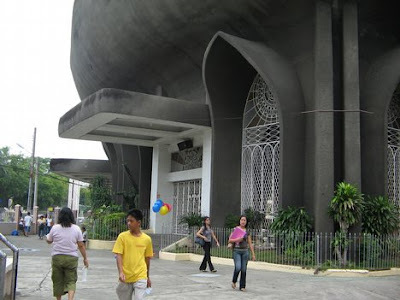 The frontal-curved roofing was designed to look like the prow of a vinta gliding over waters carrying a Cross at the helm. 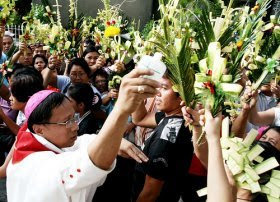 The vinta represents the Muslim Mindanao and the Cross representing Christianity - who stand united despite differences in beliefs and perhaps ways of life but points toward the glory of God. 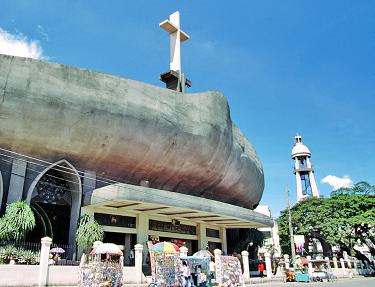 The Vinta is a vessel of ancient heritage used by Muslims in Mindanao in Southern Philippines. The bright colorful sails are representative of the rich and colorful culture of the Muslim community. 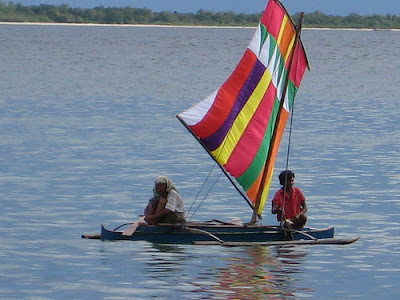 The boat is usually used for inter-island transport of people and goods. 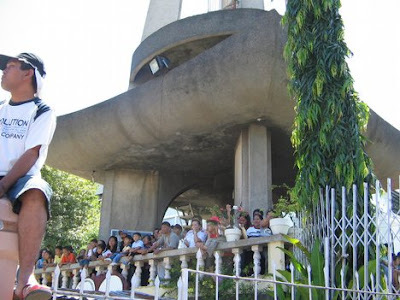 One of the many notable sights at San Pedro Cathedral is the Bell Tower which houses an image of the Pieta, a statue of the sorrowful Blessed Virgin Mary with the dead body of her son, Jesus, on her lap, and the two concrete tablets of the Ten Commandments of God. 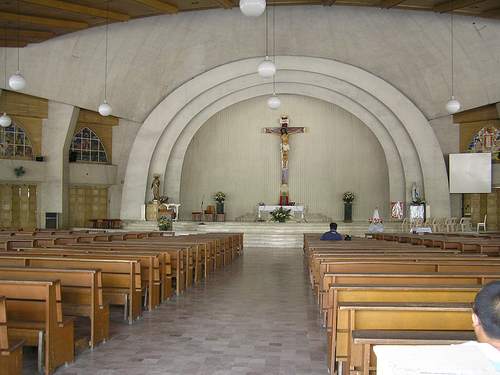 The old altar is preserved at the right wing of the cathedral which features a collection of antique images and relics of Saint Peter and other saints. 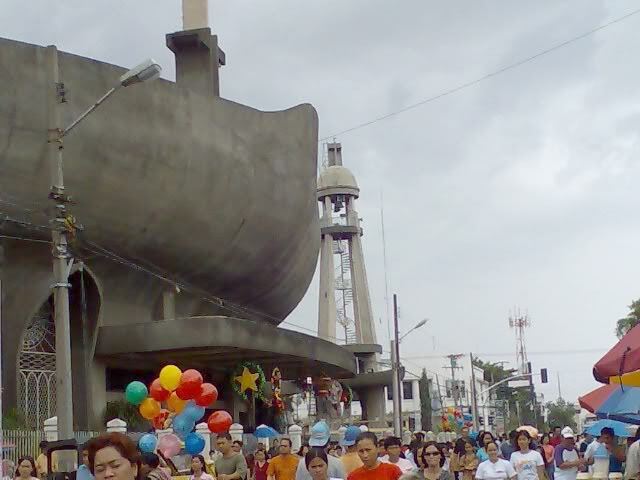 Inside the grounds of San Pedro Cathedral are several stalls that sell various religious items such as relics, rosaries, scapulars, novena prayer books, candles, and the like. During Sunday, portion of the San Pedro Street particularly immediately infront of the Cathedral is cordoned off from vehicular traffic due to the huge volume of parishioners who come for Mass. 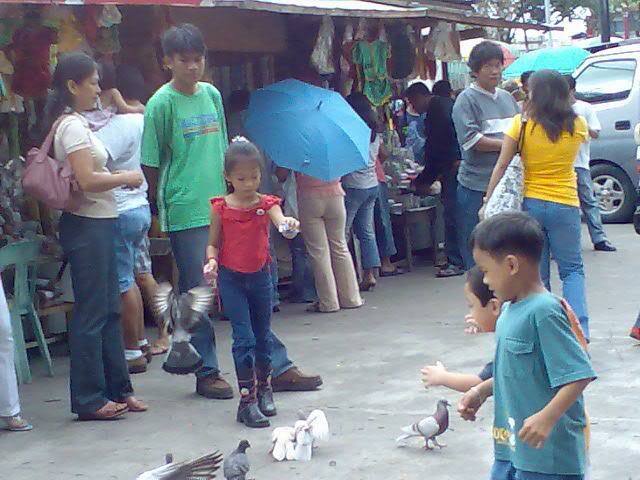 Here, many vendors ply their trade just outside the Cathedral, such as balloons, toys, ukay-ukay, popcorn, and all sorts of street food, etc. 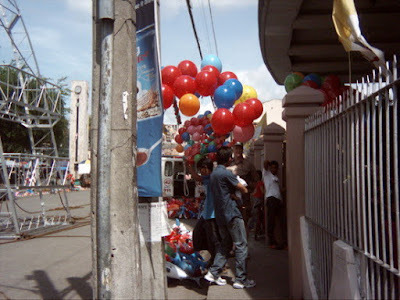 There are also photographers who are always ready to take photographs for a fee, of course. 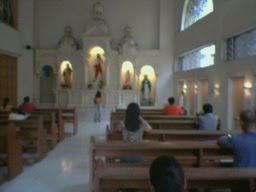 Masses in the Cathedral are in both English and the Visayan dialect. 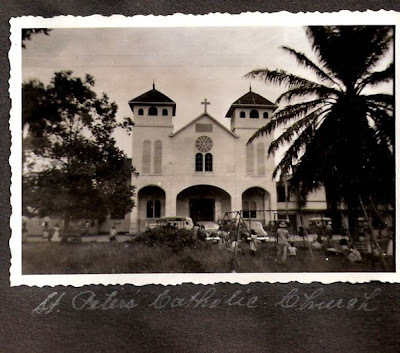 Funeral Mass, Blessing of House, Office or Building – To be scheduled at the office, preferably three days prior to said occasion. 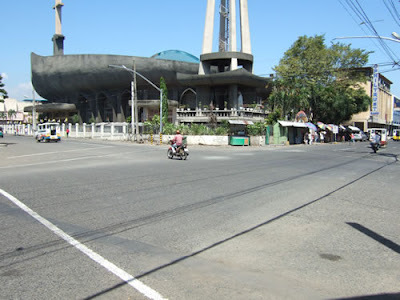 The Cathedral is very accessible as it is located at the very heart of downtown Davao City right across the Sanguniang Panglunsod ng Dabaw Building along the busy San Pedro Street where public utility vehicles are en route. Hi, do they have a email?